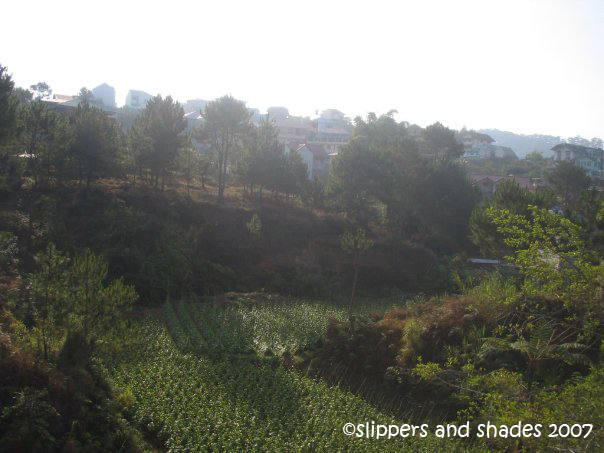 Baguio City is still the undisputed Summer Capital of the Philippines because of its cool mountain weather and pines trees. Situated in Northern Luzon, this is a popular destination especially during the stifling season in our country. There are three main roads in getting there. 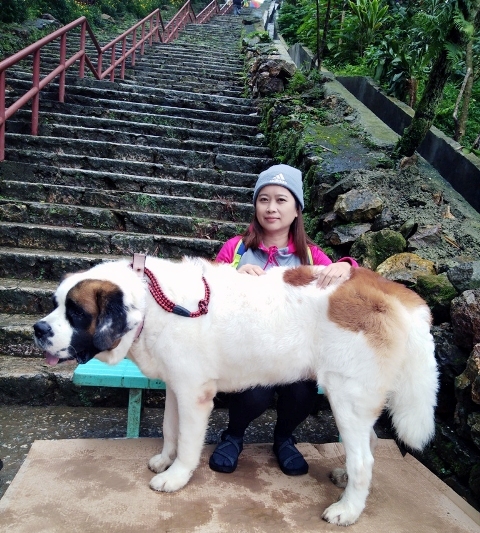 One is through Kennon Road, the fastest way but dangerous because of landslides during rainy season. The other two are Marcos Highway and Naguillian Highway which are safer though travel time will take a bit longer. When my sister Ghie came home from work abroad, she enjoined us to visit Noel’s house (her fiancé) in La Trinidad, Benguet. Noel was left as he had a late reservation in his flight booking. 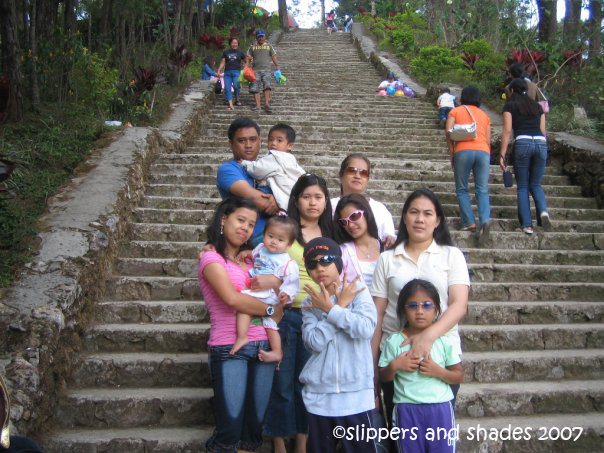 Everyone was excited of going back to the foggy land and visit Baguio City’s tourist attractions. We left Manila by 3:00 pm, my hubby behind the wheels. It was almost 10:00 pm when we reached our destination. Noel’s house was a three-story apartelle. We stayed on the third floor where it has three rooms and two bathrooms. We had a light snack. While everybody was busy, I went awhile in the balcony to star gaze. It was an amazing night where I had enough solitude and time to contemplate on many things. We slept with all the windows closed and no fan at all. 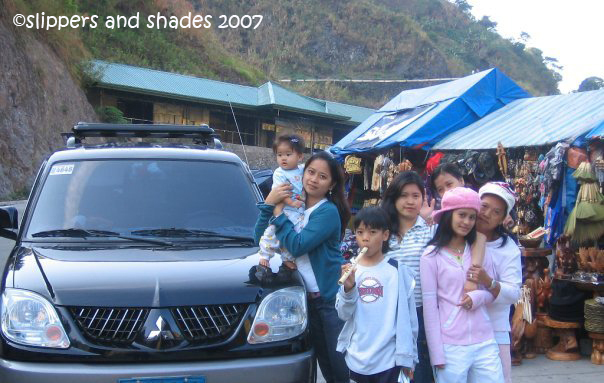 We wore jackets, pajamas, socks and to complete our sleeping gears, we also wore bonnets in our heads.hahaha! Good night Benguet! I woke up early to catch the morning sunrise. With my cam, I headed to the balcony again. Farms and pine trees in lowlands were huddling defensively by fogs. When the sun slowly emerges into the horizon, the rays dramatically spilled into the milky white mists. And suddenly the coat of brightness invaded the beautiful view. I blew an air into the wind and there I saw white mist emitted from my mouth. What a childlike delight I was doing anyway. We prepared for our breakfast. 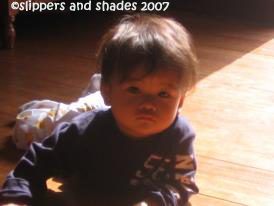 I was fascinated to see the wonderful rays of the sun streaming into the living room. Our little Shen had a photo with it while crawling on the floor. Our first destination was in Wright Park located just across The Mansion which is still not open for visitors. Beautiful horses were lined up in one corner and souvenir stores in another corner. 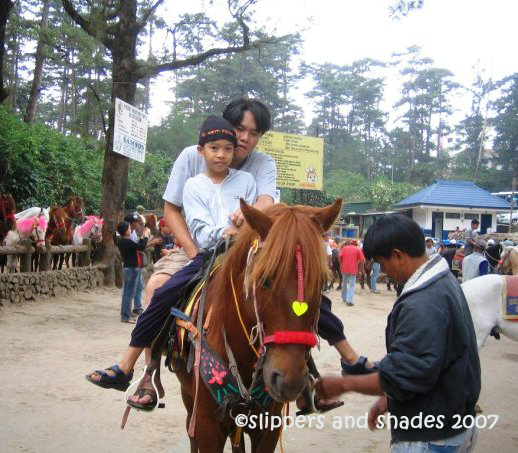 I was lazy to indulge myself into horseback riding as I already tried it in our first visit here. Instead I bought key-chains while my hubby and Pao tried it again (P250) with a horse owner walking alongside and holding the rope. Choy and Isha tried it also and so with Miko and Rose. After their activity we went up to the rectangular pool through the concrete stairways. It was good to explore the place again as there were lots of beautiful plants and flowers in the area. It was nearing 12:00 noon so we headed down to settle for lunch. But there were no food-chain stores or restaurant there. What we got was an eatery just outside the park. Food was good and affordable. Mines View Park located at the northeast side of the city. We were surprised to see souvenir stores that sprouted like mushrooms in the vicinity. There were lots of plants and flowers for sale. There’s no need to go to Baguio City Market for there were varieties of souvenir items to choose from. And there were the yummy treats too like strawberry fruits, jams and peanut brittle. The gazebo, which is the most photographed spot, was packed by visitors. It’s good to see again the magnificent view of Benguet’s gold and copper mines and the Cordillera Mountain. We had the place all by ourselves in our first visit. 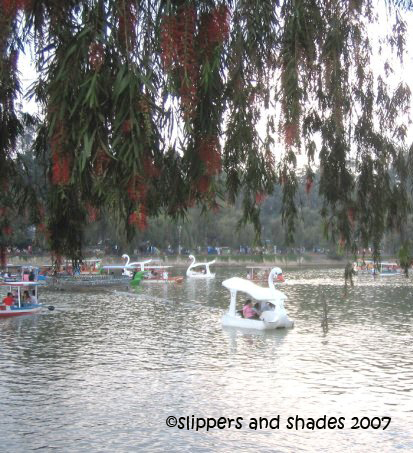 There was no serene moment to enjoy that day so after few minutes we headed to the Burnham Park. Choy and family will go back to Manila this afternoon so we have no time to explore more. 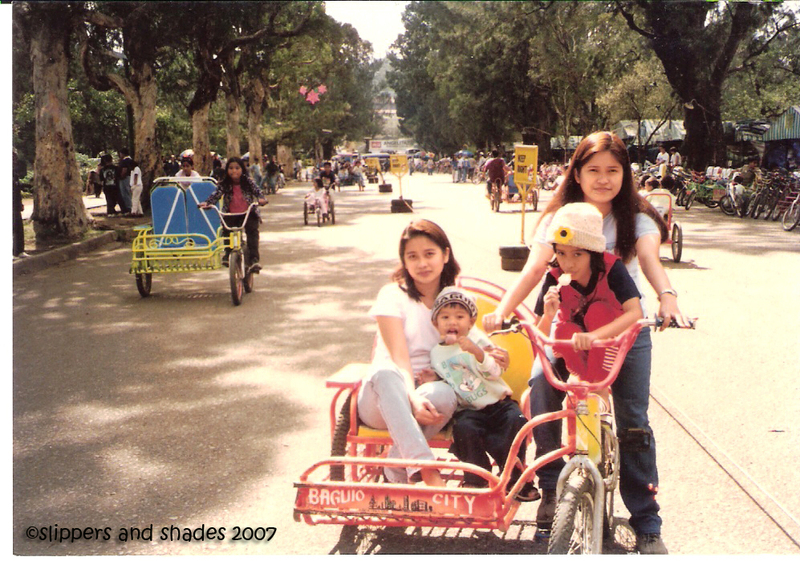 We stayed the rest of the day in Burnham Park, a well-loved park in the country. This was named after its designer, an American architect Daniel Hudson Burnham. It is located at the center of the city where various activities will surely make visitors enjoy, including the most-loved boat rowing in the Burnham Lagoon. What we enjoyed most in the afternoon was biking. There were single bikes (for kids and for adults), tandem bikes and bikes with side cars. There were lots of vendors in the park so there’s no need to go far just to fill one’s stomach for a snack. There were taho vendors roaming everywhere. 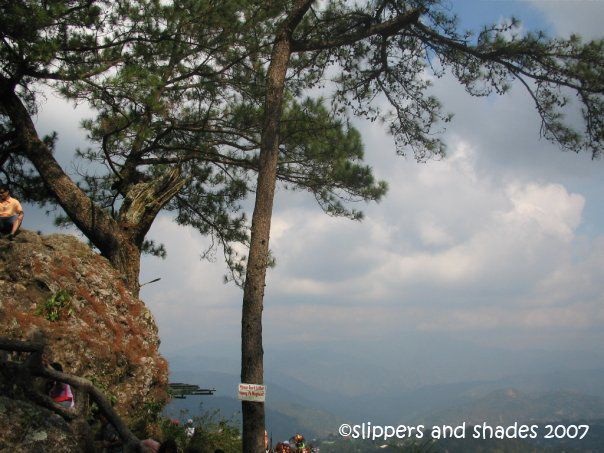 One whole day isn’t enough to explore all Baguio’s beautiful tourist attractions. Quite bitin. We packed up the next morning then said good-bye to the farmland below, wishing to go back again in the future. We headed to Baguio City Market and bought pasalubong. 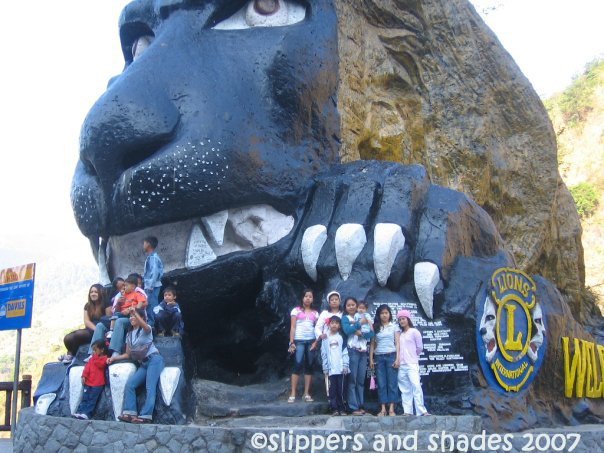 To complete our Baguio getaway, we took the Kennon Road for a photo shoot in Lion’s Head. It’s like going to Albay with picture perfect of Mayon Volcano or the Twin Towers in Malaysia. Hoping we could go to Strawberry Farm for our next visit.